Even in a natural forest setting, trees and shrubs have challenges with damaging insects and disease. Take those same native plants, and put them beside imported species in a landscape with even more environmental pressures, and your trees and shrubs face frequent problems. 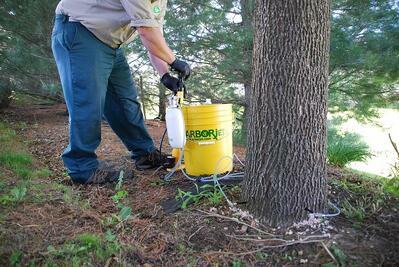 It’s for this reason that Certified Arborists recommend tree insect control and tree disease control treatments. In addition to the harm pests like mites and insects do on their own, shrub and tree diseases also can not only cause cosmetic damage to plants, but even cause them to decline and die. Identifying diseases accurately requires an expert, and tree disease control treatments are specific and individual depending on the species, location and size of tree. Our tree and shrub experts will design a custom strategy utilizing the latest tree disease control methods to reduce the chances of your landscape from being harmed. 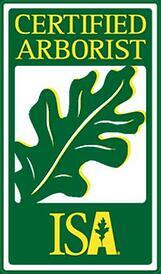 How Does Joshua Tree Compare to Other Tree Spraying Companies? 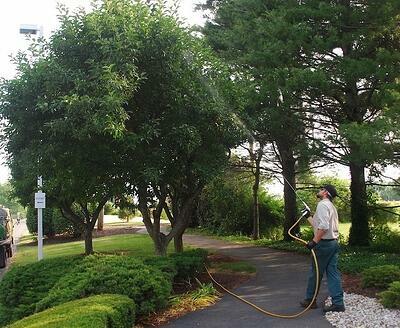 There are a lot of tree services in Allentown, Bethlehem, and Easton, PA that offer tree insect control and services to manage diseases. Some of these tree spraying companies are just that. 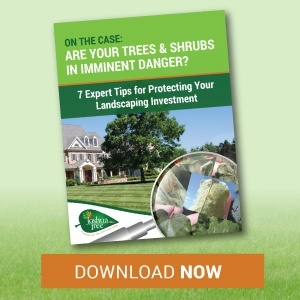 They run through a property, spraying trees and shrubs quickly, and hang an invoice. But at Joshua Tree, we understand the delicate science behind managing these challenges. We would love the opportunity to offer you a free, on-site consultation to evaluate the health and potential problems in your landscape. After walking through the steps above, we can then determine together what tree insect control or tree disease control services are best to keep your trees and shrubs healthy for the years to come.